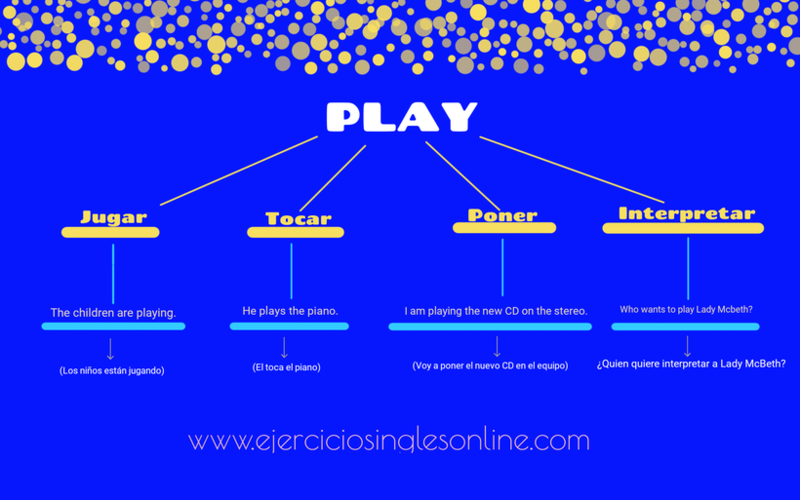 Verbo play - Significados más comunes. 1. My daughter will play the role of Juliet in Romeo and Juliet. 2. My neighbours play music so loudly that the walls shake. 3. He is learning to play the guitar. 4. I play football with my friends on Sundays.